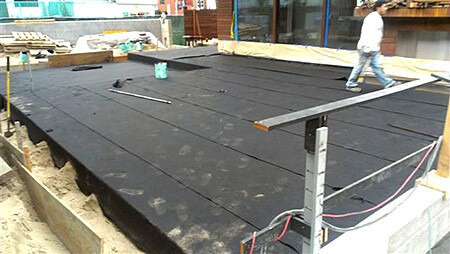 Area of between slab waterproofing tied into the below grade waterproofing system. This project was done in Los Angeles, California. 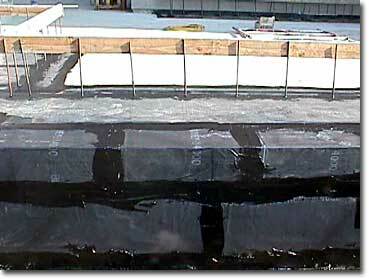 This is a waterproofed below grade parking garage that also has "between slab"
waterproofing over the parking garage.